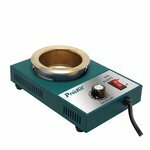 Compact 250 W soldering pot for tin coating and preparation of electronics components and leads. Suitable for both lead and lead-free applications. 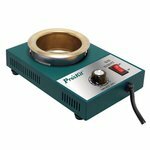 Compact 150 W soldering pot for tin coating and preparation of electronics components and leads. Suitable for both lead and lead-free applications. 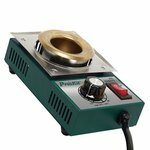 Compact 300 W soldering pot for tin coating and preparation of electronics components and leads. Suitable for both lead and lead-free applications. 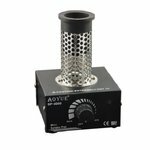 AOYUE SP 1800 - Compact solder pot for lead and lead-free application. 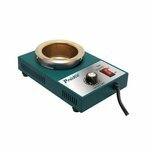 Power: 120 W.
Compact digital solder pot that ideal for lead-free application. 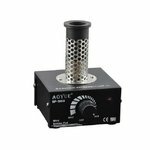 Power: 350 W.
Lead-free soldering station with a solder pot and a smoke filter. 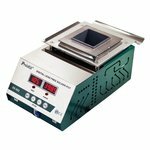 Compact 200 W soldering pot for tin coating and preparation of electronics components and leads. Suitable for both lead and lead-free applications. 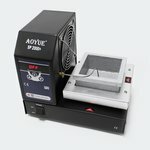 AOYUE SP 4000 - Compact solder pot for lead and lead-free application. 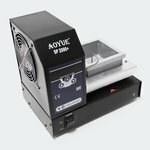 Power: 160 W.